Harold Wyllie was the eldest son of William Lionel Wyllie. He studied under his father and shared his fascination with naval history. Harold Wyllie was particularly interested in the development of the sailing ship and devoted himself to in-depth research eventually becoming a recognised expert on the subject. His works were exhibited at the Royal Academy and the Royal Society of Marine Artists, and he served as Honorable Marine Painter to the Royal Yacht Squadron in 1934 as well as Vice President of the Society of Marine Artists in 1958. 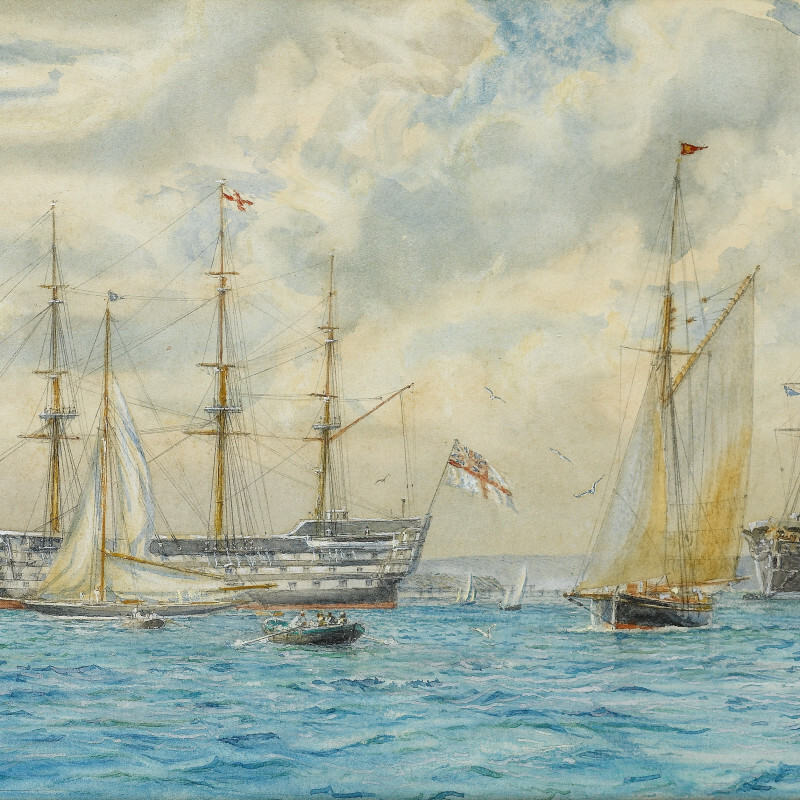 His dedication to naval history resonates in his sensitivity to detail and accuracy in his maritime paintings.